Um, we’re all pretty sure that the kiddos know the objective here is to score (or get a basket, hit a home run and so on). So, why are the parents screaming and shouting? Well, because their kid has to be better than the other ones. He has to be a winner. After all, if he’s not isn’t that a reflection on their parenting? Do they really want the other moms and dads thinking that they’ve raised a loser? Sure, you can spin this behavior and say that the parents are teaching their kids lessons in going for what they want and being self-confident. But, aren’t they also putting pressure on their kids? Instead of focusing on winning, aren’t there other lessons that we need to teach our children? It doesn’t take a parent saying, “Hey, you need to win!” to make a child afraid of failure. The constant need to succeed can quickly stress out your child, making him worried and anxious all of the time. Take a step back and lift some of that pressure. Instead of passing on the message that your child is only ‘good’ or praise-worthy when he gets straight A’s, is the fastest reader or can kick a ball harder than anyone else in his team, teach your child to think in a realistic, healthy way. This means that you can’t compare him to other kids (in other words, there’s no more saying, “Johnny got 100% on the spelling test. Why did you get a B?”) or put unrealistic expectations on him. This isn’t to say that you’re completely relaxed and let your child do whatever he wants to do. Obviously, getting F’s at school isn’t okay. That said, show your child that you care about what he’s doing. Value effort over success. Ask questions. Start an open discussion. And, above all tell your child that you love him unconditionally. 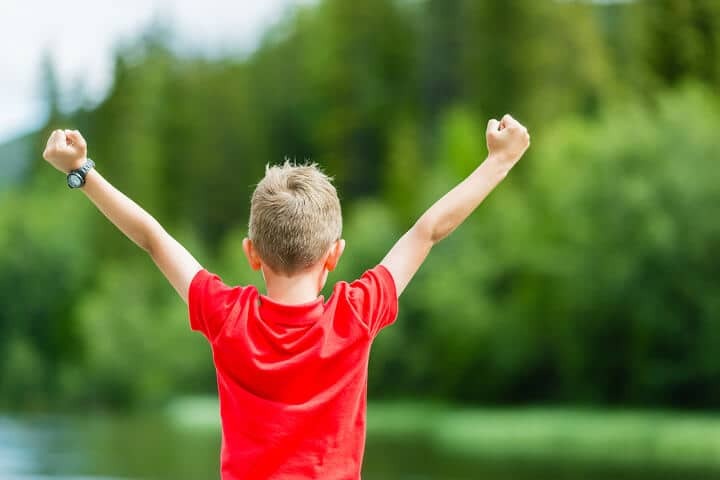 Part of putting an end to the comparison factor (that is, comparing your child to his classmates and friends) is helping him to value himself. There will be times when your child feels bad about himself. You can’t stop this from happening. Whether it’s the one D he gets in math class or the time when he strikes out during the baseball playoff, your child can’t ‘win’ at everything all of the time. That’s life. And, it doesn’t mean that your child should ever feel like a failure. Help your child to understand that he is important. So, let’s slow down here and sort out the difference between healthy self-image/self-value and an inflated view. Telling your child that he’s the best student, best reader, best soccer player, best artist, best violin player, best drummer, best adder, best subtractor, best multiplier and so on isn’t the goal here. Telling him that he is the BEST at everything gives your child a false picture of himself and inflates his self-worth to narcissistic proportions. Instead, praise your child when he deserves it. When he doesn’t ‘win’ or do the right thing, let him know that life isn’t all-good-all-the-time. Help him to see stumbles as what they are – stops or misses on his life road. While valuing yourself is a must-do, valuing others is equally important. Let’s face it, kids can be mean. A friend says the wrong thing, does the wrong thing or wears the wrong thing, and the other children are all over them – making fun of the child or bullying them. Helping your child to understand that every person is deserving of respect and basic kindness helps him to see that other people have worth too. How can you do this? You can discuss the topic with your child (this includes talking about why it’s important to be kind to others and perspective-taking). You can also teach through your actions. Show respect to other people and catch yourself before saying something such as, “Ugh! I ran into Gina and she is so annoying. I was just trying to finish grocery shopping and she talked endlessly about her son’s summer camp.” Maybe Gina is sad that her son is away at summer camp and needs a friend. Maybe she’s lonely. Whatever her reason for cornering you in the produce aisle and chatting you up, don’t accidentally use this experience as a way to teach your child that it’s okay to treat people poorly. Parenting isn’t easy. 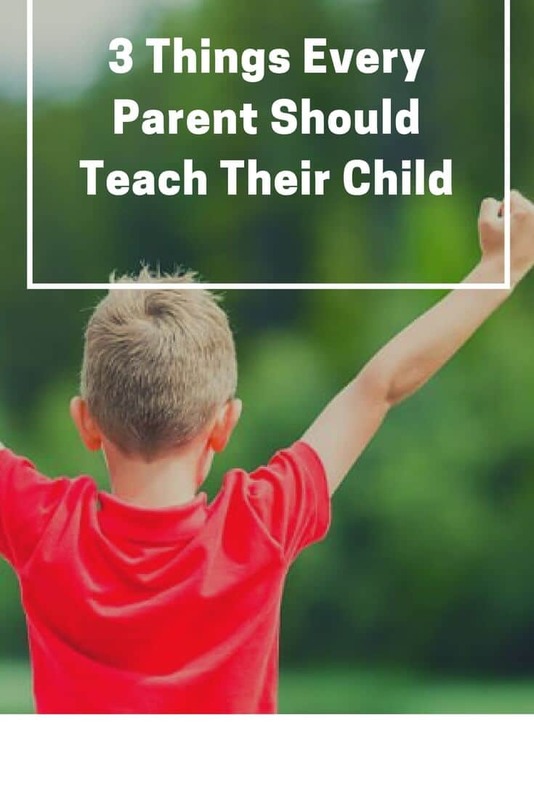 It seems like there are countless lessons out there to teach your child before he grows up and eventually leaves the nest. From ditching the fear of failure to understanding that every human (including himself) has value, you can help your child to navigate the road ahead of him. Even if he’ll only listen to you for 18 years!